Keep all of your most important files and documents backed up and accessible with this cloud storage solution. You’ve racked up tons of data over the years, collecting everything from projects to design assets. Those files are important to you. Make sure you never have to go without them with Zoolz Dual Cloud Storage Get 2TB of storage for life on sale now for only $49.99 (approx. £41). 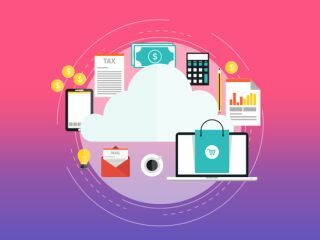 For more services, try our guide to the best cloud storage 2019. There's nothing worse than losing files, especially when you're on a deadline. For designers, there is no better backup option than Zoolz Dual Cloud Storage. This backup system quickly and automatically backs up your files and stores them in the cloud, where you can access them anytime. With 2TB of space available to you – 1TB for instant backups and 1TB for archives – you’ll rest assured that all of your data is safe and sound. You can get a lifetime subscription and 2TB of space from Zoolz Dual Cloud Storage for just $49.99 (approx. £41). That's a savings of over 99% off the retail price so grab it today and know your data is secure!